Which Law Controls Liability in a Boating Accident? Enjoying the waters that Florida offers, whether it be the Atlantic, the Gulf, or the many lakes and rivers dispersed throughout the state, is one of the significant draws of Floridian summers, for residents and visitors alike. Operating a marine vessel, much like the operation of a motor vehicle, does carry with it some risk, as accidents can occur. If and when an accident does occur, it is wise to retain the services of a boat accident attorney to handle any legal claim. 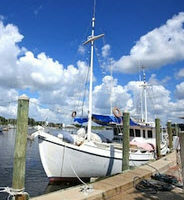 In some cases, accidents involving boats can be catastrophic. Recently, a father, operating a boat, lost his balance and fell on the throttle, which unfortunately caused his son to fall overboard. While the father suffered a broken tibia, tragically, the son suffered a fatal injury when he hit his head on the propeller. While this unfortunate incident was the result of a freak set of events, it nevertheless illustrates how accidents involving boats can, even if truly accidental, be fatal. A further complication of boating accidents is that there are numerous laws that can be applicable to different situations, and a discussion of some of the various laws at play in accidents involving boats will follow below. When an accident involving a boat or other watercraft occurs, it is important to determine which law or laws are applicable. Primary to determining this is the location of the accident. Specifically, if the accident occurred in international waters, the applicable law is different (federal maritime law) than if the accident occurred closer to shore in Florida waters, or on one of Florida’s many lakes and/or rivers (state negligence laws). An experienced attorney knowledgeable in boating accidents can help ascertain which law is applicable. In matters involving negligence claims, the plaintiff must successfully prove that the operator was negligent (i.e., he/she failed to operate the vessel with reasonable care), and that his/her negligence led to the plaintiff’s injuries. Potential negligent actions include boating under the influence of alcohol or narcotics, boating without an appropriate license or operating a marine vessel under the age of 14, operating the marine vessel carelessly or recklessly, operating the marine vessel above a marked speed or during a restricted time or without proper lighting, and jumping a wake. If a commercial boat was involved in the injury, the boat (as opposed to the operator) caused the harm, the ability for the injured to recover can actually be limited. Specifically, the owner of a boat may impose a limit on his/her liability for an injury to the value of the vessel plus any pending freight at the end of the voyage. If a vessel sinks or has little value after a catastrophic accident, the vessel owner’s liability can be reduced to zero. This is where retaining an experienced attorney becomes crucial, as they can work to ensure that the vessel owner is unable to impose this limit. Typically, remedies for wrongful death when in international waters are governed by federal statute. Specifically, remedies for such accidents are limited to the economic loss to the estate. If not in international waters, Florida common law would prevail, which means that the estate can sue for loss of support, loss of the companionship of the deceased, and pain and suffering. If you suffered an injury as the result of an accident involving a marine vessel, contact the attorneys at Pita Weber Del Prado as soon as possible. While there may be a difference in the specific law to your circumstance, the attorneys at Pita Weber Del Prado have the experience necessary to review the facts and determine which route to take. Contact our Miami office today for an initial consultation.